Calorie count depends on the source of calories as the calories from refined carbohydrates have a higher glycemic index, higher insulin spike and a lower satiety score compared to calories from fats or proteins. “Although all calories have the same energy content they most definitely do not have the same effect on your weight or weight loss process. Calories actually go through different metabolism process in the body depending on the food source. For instance, you cannot compare fats, carbs and protein calories, they are different and some are more infilling than others, The calories from fruits are filling and preferable to those from carbs. Furthermore, substituting carbs and fat with protein can help enhance the body’s metabolism, decrease appetite and cravings, at the same time boosting the function of some weight – regulating hormones,” says Kapur. Judging the calories based on their sources are imperative. “To illustrate, one glazed doughnut has 260 kcal coming from 31 gm of carbs, 3 gm of protein and 14 gm of fat. Similarly, one chicken salad sandwich has the same 260 kcal but from 28 gm of carbs, 15 gm of protein and 10 gm of fat. 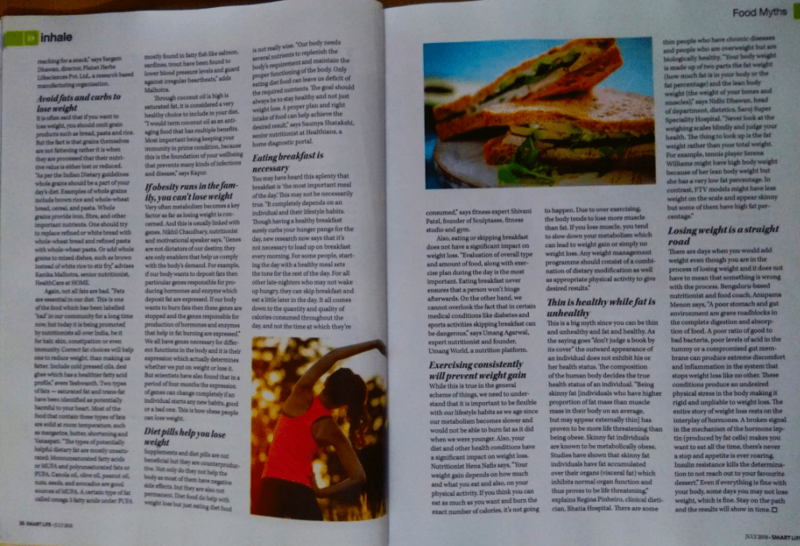 Now, if all calories were the same, doughnut consumption should have had the same effect on our body as a chicken sandwich would have, is it not?” asks Vismitha Yeshwanth, nutritionist, Pristine Organics, Bengaluru. In order to lose weight, most people make the mistake of skipping meals that leads to mood swings and more indulgence later. Hitha Bhankharia, manager, product development and clinical research, Digestive Health Institute by Dr Muffi avers, “Only when there is energy intake you will be able to expend the energy; it is always a two-way process. When we do not eat food the body’s metabolism further decreases thus affecting your weight which then begins to stagnate.” This leads to either a plateau or no weight loss. Skipping meals or fasting to lose weight seems an easier option to achieve weight loss goals but it rather works against fitness goals. “The most abused form of weight loss is a result of skipping meals or fasting; wherein the weight gain is as quick as the weight loss. The body being super adaptive – it conserves its calories rather than spending it lowering the BMR. This leads to high fat percentage! This jeopardises the body’s structure and its function,” says Karishma Chawla, nutrition consultant. Snacking on healthy, low calorie, food is a great way to keep your hunger at bay and control or reduce body fat and blood sugar levels. “You can munch on low calorie, high fibre or protein food which help in giving satiety and reduce craving for the next meal. This, in turn, helps in weight and fat loss. Having mid-morning and evening snacks in addition to breakfast, lunch and dinner helps you get in the pattern of small frequent meals which has proven to be helpful in controlling weight, blood sugar levels and problems of acidity,” says Shalini Arvind, chief dietician, Fortis Hospitals, Bengaluru. People in the three-square-meals-a-day camp look at snacking as a bad habit that needs to be broken but most experts believe snacking on good food can be healthy. “According to me, indulging in snacks between meals is perfectly fine, even if you’re trying to lose weight. But you need to choose healthy snacks like fibre-rich fruits and vegetables. Processed snacks should be avoided. Also, try to eat only when you’re hungry. Check to make sure you’re not actually bored or just thirsty before reaching for a snack,” says Sargam Dhawan, director, Planet Herbs Lifesciences Pvt. Ltd., a research based manufacturing organisation. It is often said that if you want to lose weight then omit grain products such as bread, pasta and rice. But the fact is that grains themselves are not fattening rather it is when they are processed their nutritive value either is lost or reduced. “As per the Indian Dietary guidelines whole grains should be a part of your day’s diet. Examples of whole grains include brown rice and whole-wheat bread, cereal, and pasta. Whole grains provide iron, fibre, and other important nutrients. One should try to replace refined or white bread with whole-wheat bread and refined pasta with whole-wheat pasta. Or add whole grains to mixed dishes, such as brown instead of white rice to stir fry,” says Kanika Malhotra, senior nutritionist, HealthCare at HOME. “I would term coconut oil as an anti aging food, that has multiple benefits. Most important being, keeping your immunity in prime condition, cause this is the foundation of your well being that prevents many kinds of infections and disease, keeping your BP in check, bone health and more,” adds Kapur. Again, not all fats are bad. Certain types of fat and the fat-like substance cholesterol may play a role in cardiovascular disease, diabetes, cancer, and obesity. Two types of fats — saturated fat and trans-fat have been identified as potentially harmful to your heart. Most of the foods that contain these types of fats are solid at room temperature, such as margarine, butter, shortening and Vanaspati. “The types of potentially helpful dietary fat are mostly unsaturated: Monounsaturated fatty acids or MUFA. Monounsaturated fats raise HDL (good cholesterol) and lower LDL. Canola oil, olive oil, peanut oil, nuts, seeds, and avocados are good sources. Polyunsaturated fats or PUFA, a certain type of fat called Omega 3 fatty acids under PUFA mostly found in fatty fish like salmon sardines, trout have been found to lower blood pressure levels and guard against irregular heartbeats,” adds Malhotra. Very often metabolism becomes a key factor as far as losing weight is concerned. And this is usually linked with genes. 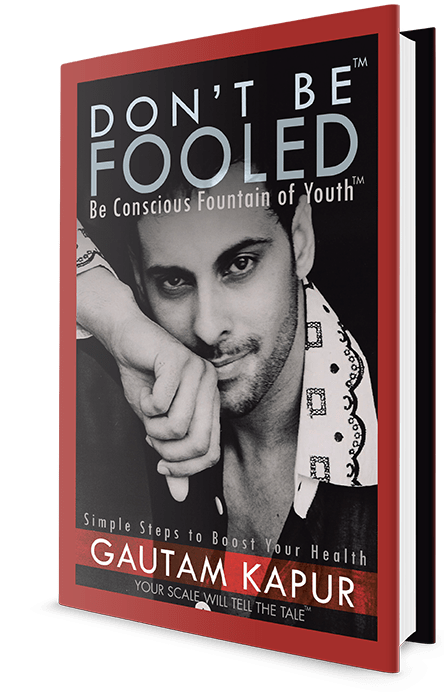 Nikhil Chaudhary, nutritionist and motivational speaker says, “Genes are not dictators of our destiny, they are only enablers that help us comply with the body’s demand. For example, if our body wants to deposit fats then particular genes responsible for producing hormones and enzyme which deposit fat are expressed. If our body wants to burn fats then these genes are stopped and the genes responsible for production of hormones and enzymes that help in fat burning are expressed.” We all have genes necessary for different functions in the body and it is their expression which actually determines whether we put on weight or lose it. Scientists have also found that in a period of 4 months the expression of genes can change completely if an individual starts any new habits, good or a bad one. This is the reason how obese people are able to lose weight. Scientists have also found that in a period of four months the expression of genes can change completely if an individual starts any new habits, good or bad. Supplements and diet pills are not beneficial but they are counterproductive. Not only do they not help the body as most of them have negative side effects, but they are also not permanent. Diet food do help with weight loss but just eating diet food is not really wise. “Our body needs several nutrients to replenish the body’s requirement and maintain the proper functioning of the body. Only eating diet food can leave us deficit of the required nutrients. The goal should always be to stay healthy and not just weight loss. A proper plan and right intake of food can help achieve the desired result,” says Saumya Shatakshi, senior nutritionist at Healthians, a home diagnostic portal. You may have heard this aplenty that breakfast is ‘the most important meal of the day.’ This may not be necessarily true. “It completely depends on an individual and their lifestyle habits. Though having a healthy breakfast surely curbs your hunger pangs for the day, new research now says that it’s not necessary to load up on breakfast every morning. For some people, staring the day with a healthy meal sets the tone for the rest of the day. For all other late-nighters who may not wake up hungry, they can skip breakfast and eat a little later in the day. It all comes down to the quantity and quality of calories consumed throughout the day, and not the time at which they’re consumed,” says fitness expert Shivani Patel, founder of Sculptasse, fitness studio and gym. Also, eating or skipping breakfast does not have a significant impact on weight loss. “Evaluation of overall type and amount of food, along with exercise plan during the day is the most important. Eating breakfast never ensures that a person won’t binge afterwards. On the other hand, we cannot overlook the fact that in certain medical conditions like diabetes and sports activities skipping breakfast can be dangerous,” says Umang Agarwal, expert nutritionist and founder, Umang World, a nutrition platform. Fat on the other hand is essential in our diet. “Fat doses not make you fat. This is one of the foods which has been labelled ‘bad’ in our community for a long time now, but today has been promoted by nutritionists all over India, be it for hair, skin, constipation or even immunity. Correct fat choices will help one to reduce weight, than making us fatter. Include cold pressed oils, desi ghee which has a healthier fatty acid profile,” avers Yeshwanth. There are days when you would add weight even though you are in process of losing weight and it does not have to mean that something is wrong with the process. Bengaluru-based nutritionist and food coach, Anupama Menon says, “A poor stomach and gut environment are grave roadblocks in the complete digestion and absorption of food. A poor ratio of good to bad bacteria, poor levels of acid in the tummy or a compromised gut membrane can produce extreme discomfort and inflammation in the system that stops weight loss like no other. These conditions produce an undesired physical stress in the body making it rigid and unpliable to weight loss. The entire story of weight loss rests on the interplay of hormones. A broken signal in the mechanism of the hormone leptin (produced by fat cells) makes you want to eat all the time, there’s never a stop and appetite is ever roaring. Insulin resistance kills the determination to not reach out to your favourite dessert.” Even if everything is fine with your body, some days you may not lose weight, which is fine. Stay on the path and the results will show in time.